I have to admit stranded colorwork isn’t my favorite. Why you may ask? Well, it is hard. I have issues with maintaining the right tension throughout the color section. Lately, I have been trying to use the one in each hand method (color A in the left hand and color B in the right hand). This method helps with keeping the yarn in line and not twisted. However, my left-hand knitting is a little shaky. The reality is I need to practice if I am going to get better. I really want to take a stab at creating a pretty elaborate stranded colorwork sweater. They are so beautiful but look so challenging. 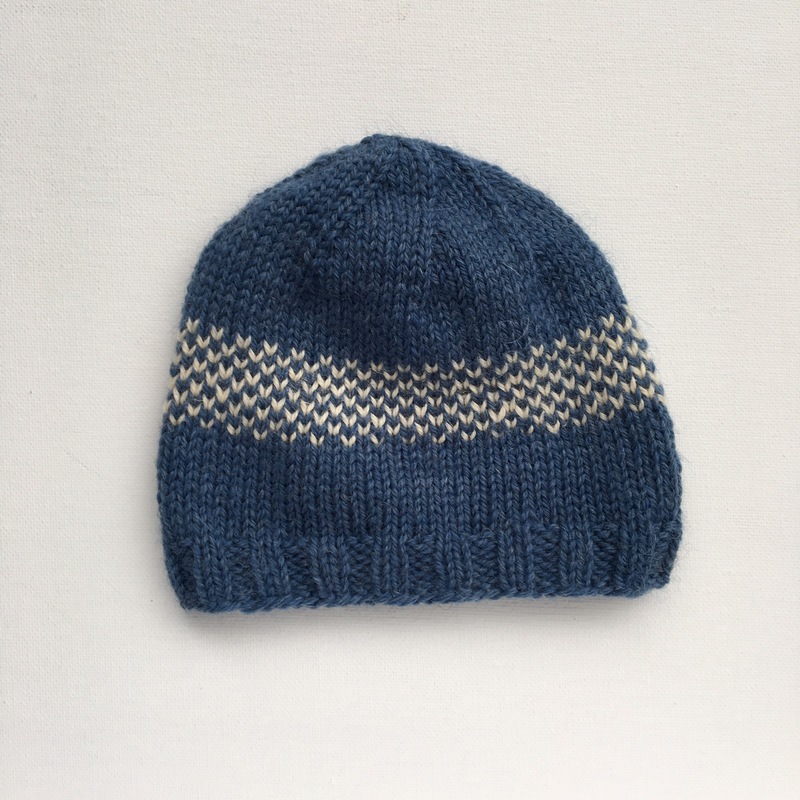 This is a baby hat was made using Rowan Hemp Tweed and Paton’s Classic Wool. The colorwork was fairly easy on this hat as there is only one band where I alternated the colors 1×1. By the end of the color section, I had a pretty good pace going between my two hands. This beanie is knit with Berroco Comfort (black and white) and some red acrylic yarn from my stash. I was inspired by the Branches and Buds Sweater. I have to say by the end of this hat my tension issues were working themselves out. Holding yarn in my left hand is still a little odd, but it is becoming more comfortable. I hope to get a few more stranded colorwork pieces (hats or cowls) under my belt in the next few months so I am ready for the ultimate goal: a sweater. Thanks so much! I have found this way to be the most comfortable and practical, but I am curious about the knitting ring. Very cute. Like the designs!